Looking for an alternative to the Hauser Open Ceramic 777 rollerball refill cartridge? Hauser makes a great refill, but sometimes you just want something different. So, what to do? 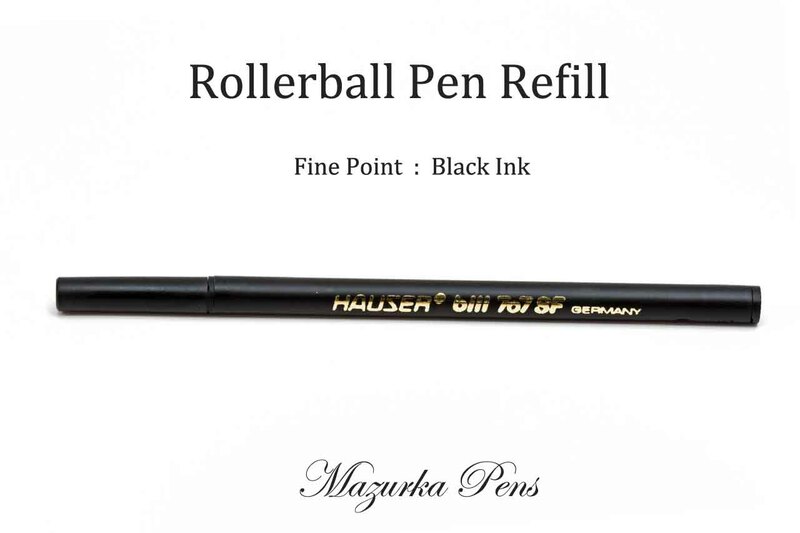 What rollerball ink refills are compatible with the Hauser Open Ceramic 777? 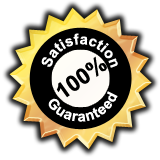 What is an equivalent substitute Hauser Open Ceramic 777 rollerball refill? Well, there are a number of choices. Most rollerball refills sold today are interchangeable and most are compatible with Hauser 777. For starters, the Schmidt Safety Ceramic Roller 888 and the Schmidt Safety Ceramic Roller 5888 are both compatible with the Hauser Open Ceramic 777. Hauser makes several other models as well, including the Hauser H4004 Rollerball Refill and will be available in either blue or black ink. The new official name is the Hauser Open TC 777F, which we are planning to carry. 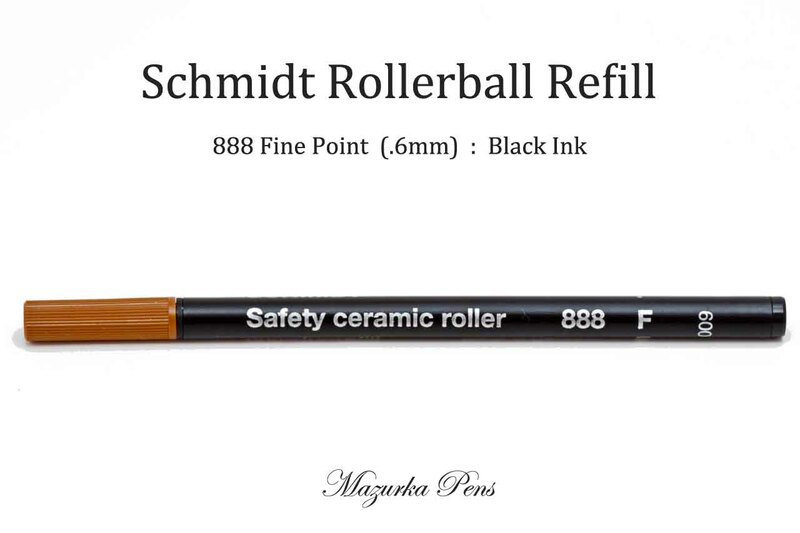 But, until then, please use the Schmidt Safety Ceramic Roller 888 F or the Schmidt Safety Ceramic Roller 5888 rollerball refills as compatible replacements.